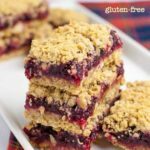 Sweet, but not too sweet, these gluten free Cranberry Lemon Oatmeal Bars have notes of bright lemon and they’re bursting with cranberries! 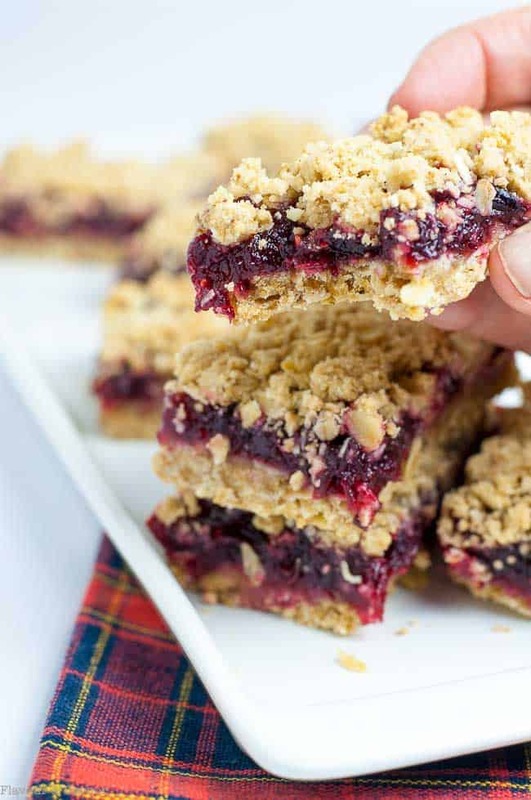 I’m having a hard time describing just how good these Cranberry Lemon Oatmeal Bars are! These oatmeal bars have just the right amount of sweetness, a buttery oatmeal base, and a crumbly coconut topping that puts them over the top. 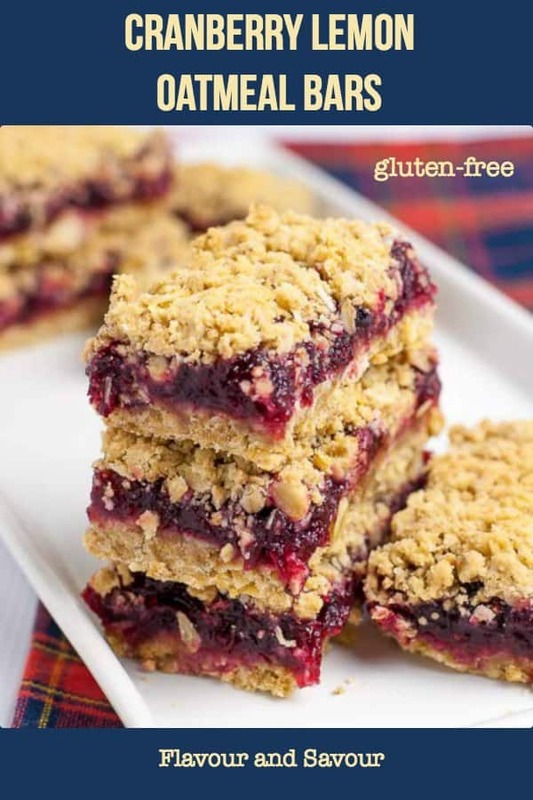 These Cranberry Lemon Oatmeal Bars will be high on my holiday baking list this year. I rarely bake with granulated sugar, except at holiday time, when I like to make some of our favourite family treats, like these Zebra Cookies, Nana’s Butter Tarts, and Crispy Salted Coconut Cookies. 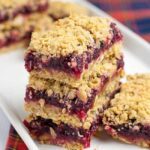 These oatmeal bars are slightly reminiscent of the raspberry coconut bars my Mom used to make every Christmas, but if I recall correctly, there was a lot of butter, a lot of sugar, sweetened long-shred coconut and most of a jar of raspberry jam in those! 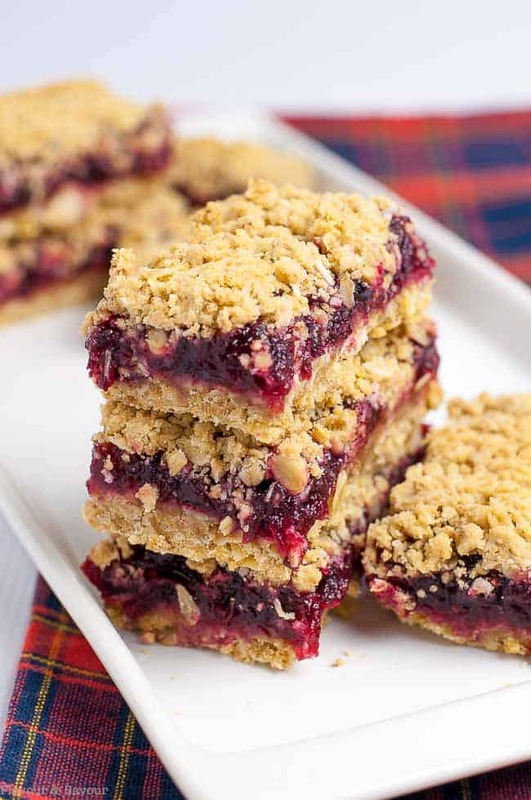 Tasty, but I prefer these healthier cranberry bars. 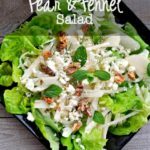 bright lemony flavour, bursting with cranberries! 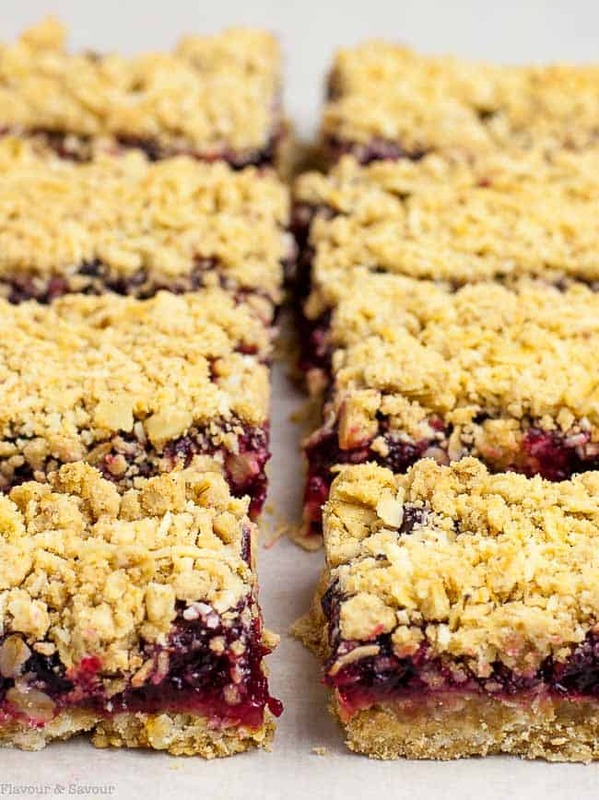 These cranberry bars can be in the oven in about 15 minutes! Make today, enjoy a few and freeze the rest for another day. And if you like these, you’ll love these paleo Pomegranate Apple Crumble Bars too! 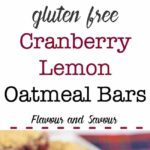 Lemon adds a bright flavour to these Gluten Free Cranberry Lemon Oatmeal Bars. They're sweet, but not too sweet. 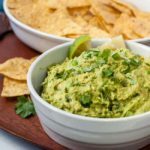 In a medium saucepan, combine sugar, cornstarch and lemon zest. Add lemon juice and cranberries. Stir to combine. Heat to boiling, then reduce heat to low and simmer for 15 minutes until mixture begins to thicken. Preheat oven to 350°F. Line an 8 inch square pan with parchment paper. 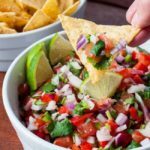 Add melted butter to a medium bowl (or melt it in the bowl in the microwave). Stir in sugars and vanilla, then add flour and oats. Set aside 1 cup of the oatmeal mixture for the topping. Transfer the remaining amount to the prepared pan, pressing it evenly into the bottom to create a firm base. Spread the cranberry mixture on top of the base, taking care to leave a 1/2 inch margin to prevent the cranberry from leaking out the edges while baking. Add 1/4 cup coconut to the remaining 1 cup oatmeal mixture. Sprinkle the topping evenly over the cranberry layer. 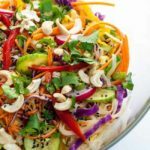 Bake for 30 - 35 minutes or until golden brown. Cool completely before cutting into bars.